Japan and South Korea are planning a formal summit later this month, the first meeting since President Lee Myung-Bak angered Tokyo with a surprise visit to a disputed island chain, a report said on Sunday. 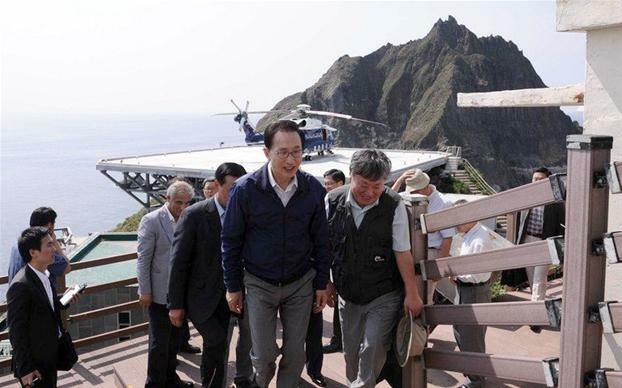 Lee’s visit to the islands, which lie between the two countries and are known by South Korea as the Dokdo Islands and by Japan as the Takeshima Islands, badly damaged relations between Tokyo and Seoul in August. Japanese Prime Minister Yoshihiko Noda and Lee held informal talks in September on the sidelines of the Asia-Pacific Economic Cooperation forum but have not held a formal summit since the rekindled territorial dispute.